The Easel is 5' tall with three levels of holders on the front legs that fold flat when not in use. 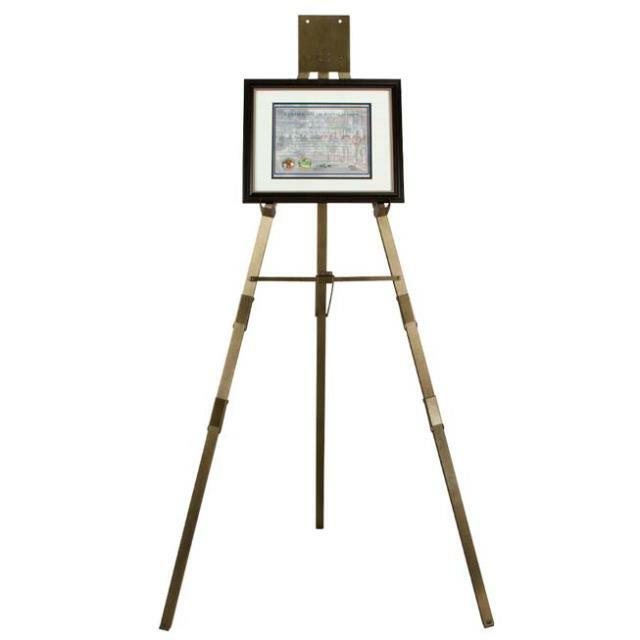 Easel T-Bar also available to hold a pad or flip chart. * Please call us with any questions about our easel gold vein rentals in Columbia and Jefferson City MO.